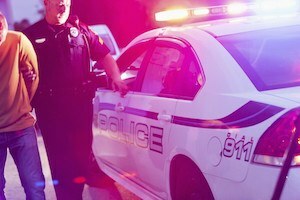 Were you arrested or do you have a warrant for DUI in Lake Orion? You need a top rated lawyer who practices in Oakland county. Attorney Daniel Hilf of Hilf & Hilf, PLC is the lawyer you need when it comes to a felony or misdemeanor DUI arrest. Lake Orion DUI arrests are assigned to the 52/3 District Court. The Judges at the 52/3 District Court have a judicial philosophy that the public is placed in danger with every DUI (regardless if there was an accident,) and treat DUI offenses and convictions in a very strict manner. Even without a conviction, be prepared for tough bond conditions. Searching for the Lake Orion Michigan DUI Legal Counsel? For serious DUI charges, there are mandatory sentencing conditions that are non-negotiable upon conviction that include jail or prison, up to 360 community service hours, alcohol/substance abuse treatment, and vehicle immobilization or forfeiture. The Judge has discretion in these cases in the amount of jail/prison, number of community service hours, and type of substance abuse treatment that he or she imposes. There is a potential defense to vehicle immobilization/forfeiture when another person's car is used and the owner was unaware of the drinking and driving. Other DUI convictions can lead to incarceration and/or probation with probationary conditions that are often determined based upon a mandatory alcohol screening upon conviction. The Michigan Secretary of State, when notified by a Court of an DUI conviction, always issues either a restriction, suspension, or revocation to driving privileges based upon the prior DUI history and the conviction offense. Under current Michigan law, DUI convictions cannot be expunged, and are thus permanently affixed to your driving and criminal record. Because of this, you need a real fighter to represent you. Attorney Daniel Hilf has the DUI legal experience and DUI defense ability that matters when it comes to Oakland county courtrooms. Attorney Daniel Hilf has over twenty years experience in Oakland county as a DUI defense lawyer, with an office located in Troy, Michigan. Attorney Daniel Hilf is the lawyer you need, and the lawyer you can rely upon, to deal with your DUI arrest or DUI warrant. If you need DUI legal help for an arrest or warrant, contact Hilf & Hilf for representation.